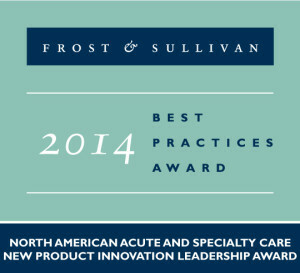 MOUNTAIN VIEW, Calif., Feb. 28, 2014 /PRNewswire/ -- Based on its recent analysis of the acute and specialty care market, Frost & Sullivan recognizes ArborMetrix, Inc. with the 2014 North American Frost & Sullivan Award for Product Innovation Leadership. ArborMetrix's leading cloud-based reporting and analytics platform for measuring clinical performance and efficiency in acute and specialty care now includes a breakthrough surgical video analysis tool. This innovative offering provides experts with video-based tools that enable organizations to better train and evaluate surgeons, with the ultimate goal of improving surgery outcomes for patients. ArborMetrix has already integrated the video surgery analysis capabilities into its registry solution for bariatric surgery, and is now actively rolling it out through its cancer surgery and hernia surgery registries. ArborMetrix's analytics platform enables both healthcare providers and payers to evaluate the effectiveness of evidence-based care, which has led to significant improvements in quality, safety, and cost-effectiveness of surgical intervention and associated specialty care. It provides benchmarks for procedures, physicians, and hospitals for use in data collection and integration, performance feedback, Maintenance of Certification (MOC) IV compliance, clinical decision support, surgeon skill ratings, and patient engagement. The platform helps to manage and maintain efficient and cost-effective clinical registries, performance measurement systems, and quality improvement programs. The cloud-based architecture of the platform allows for rapid deployment of the solution without the need for IT resources. The comprehensive solution provides evidence-based actionable intelligence across acute and specialty care, which is the largest healthcare expenditure in the U.S. It is innovatively designed for hospital and health systems alike. Furthermore, its new performance measurement platform is designed to enhance evaluation, surgical techniques, and patient outcomes.